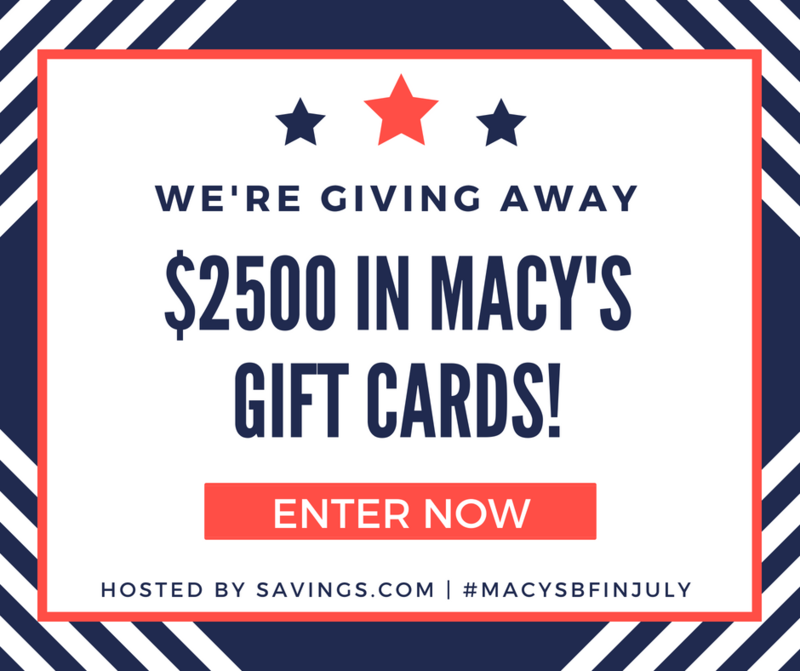 Enter the Macy's BF in July $2500 Giveaway from Savings.com for a chance to be one of 10 winners who will each receive a $100 gift card to Macy's! There will also be 20 winners of a $50 gift card and 20 winners who will receive a $20 gift card. Entry is a simple email submit. Hurry, sweepstakes ends Sunday, July 15th. Good luck and be sure to let me know if you win!